Shilajit is a Sanskrit word meaning “rock-invincible” found predominately in the Himalayas regions composed of humus and various plant organisms that have been compressed by various sedimentary layers of rock over millions of years. Plants and organics were trapped by layers of rock in the high mountainous regions of Nepal over century and the pressure of the mountains and extreme temperature causes to changes the plants to be transformed into a rich mineral mass that flows out of the rocks. And that is called Shilajit. It appears as the dark tar with the full nutritional powerhouse of fulvic acid, ionic minerals, enzymes, and a massive amount of various phytonutrients with the organic compound such as resins, humic acid, fulvic acids, fatty-acids, amino-acids, triterpenes, benzoic acid, multiple enzymes, and steroidal saponins during several researches. It has been so popular and effectiveness since thousands year in Ayurveda it contains 80 – 87% minerals in their ionic form which are so great and amazing things to fulfill the need of body. It has so highly Potential things and greatly effects on the human physiology. It increases memory retention and cognition, healthy histamine response, increases the body’s adaptability, and digestive system it works as a powerful anti-oxidant against free radicals by producing glutathione peroxidase and Adenosine triphosphate (ATP) regulating hormones, and stimulate healthy production of testosterone or estrogen. 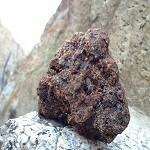 21,000 feet above sea-level where the best and highest grade are in red, brown and gold colored rock. 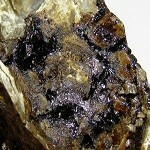 The minerals in shilajit are in ionic form, It has unique ability to regulate tissue system and flow blood on muscle small tissue to nervine system smoothly. 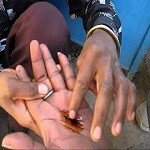 You may feel a bit heat body during the first dose but later it will be normal with freshness and eagerness. You can take simply with warm water or with milk, tea by dissolving or simply on non chlorinated water. You may feel a bit unpleasant bitter taste for the first time. Dosage should take twice a day with a bit of amount after food. You will get result with energy and stamina levels and different feeling on body within 07 to 12 days we recommend taking one to three portions of Shilajit per day over a 6-12 week. ANY PRECAUTION or SIDE EFFECT? NO. Shilajit has been used since millions years in Ayurvedic medicine if you will get body heat or any abnormal symption your dose is a bit more and you got to reduce it. You may also take one time during bed ime after food if such any symption or heat feeling. Shilajit should not be mixed with any chlorinated water, pregnant and below 8 years should never consume. E, It helps to smooth heart strength and protect from any disorders effect. HOW CAN I KNOW MY HOLDING ONE IS ORIGINAL OR NOT? 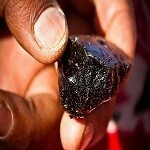 In the market most of the Shilajit are fake prepared under room temperature like fully burned sugar. you need to check by holding a small amount and original get melt in your hand and spread with brownish color when just simply press and the duplicate one never even you bite and hammer. For further to know more or to test for your health as well as promotion purpose bulk please contact us. You will also be authorized include re-packing and re-branding or we can also do as per your convenient ways.